How Does Internet Speed Work? 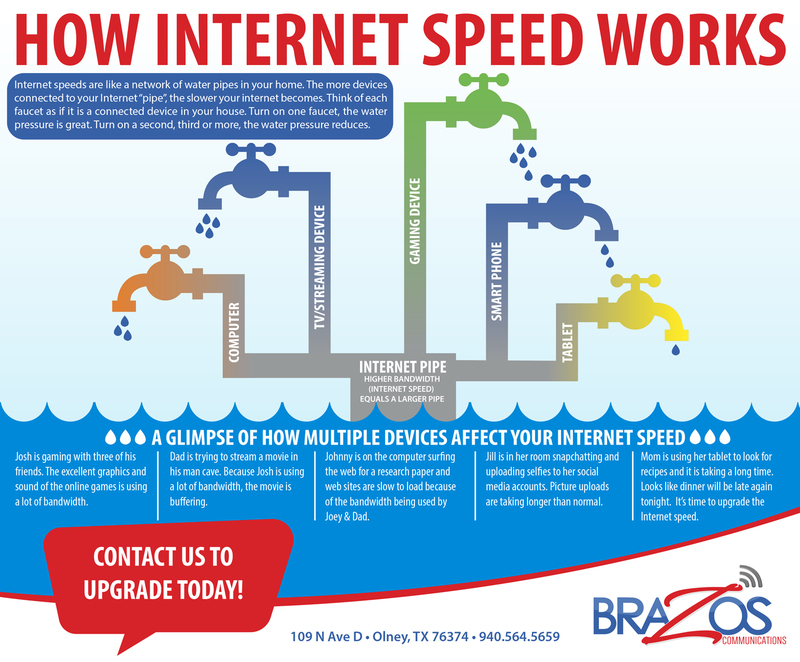 Internet speeds are like a network of water pipes in your home. The more devices connected to your Internet “pipe”, the slower your internet becomes. Think of each faucet as if it is a connected device in your home. Turn on one faucet, the water pressure is great. Turn on a second, third or more, the water pressure reduces. It is estimated that the average American home has 7 internet connected devices. 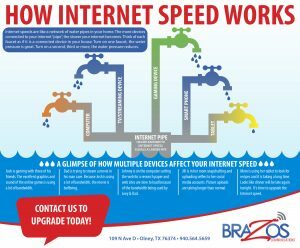 If you have multiple devices connected it’s time to upgrade your internet speed. Let us help you determine the speed you need. Call 940.564.5659 or dial 1.800.687.3222 we are happy to help.